Acton Park is on the agenda at a Specialist Scrutiny Panel meeting at 7:00pm September 9th at Ealing Town Hall in Committee Room 3. The meeting is open to the public. Acton residents are to be given an opportunity to become more involved with Acton Park. It will be one of the open spaces to be discussed at an Ealing Council Specialist Scrutiny Panel which will be considering "Parks as Community Assets". At the meeting on 9th September the agenda includes an item on the Park. "To consider the information and identify areas for further involvement by local residents in the management and maintenance". Acton as been identified at a previous Scrutiny Panel meeting as being an area of "District and Metropolitan deficiency" - an area where residents have to travel a considerable distance to enjoy the same level of facilities as other Borough residents. 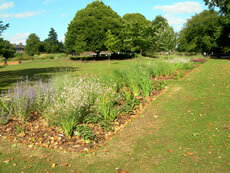 The survey has identified Acton Park and Woodlands Park as "Town centre parks". According to the report, "These are often used as places where people have their lunch or some fresh air during their working day. "They get more daytime use than other parks and require slightly different facilities such as picnic tables and cafes. "They are also often used as shortcuts to get between surrounding residential areas and the town centre, whether it be a route to work or to go shopping and as such these parks need to be able to allow safe through passage for both pedestrians and cyclists." The survey identified a number of different uses for parks. The most common reason for visiting parks was 'for fresh air'. 17% of residents said they take their children to the playground and 30% take their children out; 10% use parks for sport and 7% walk their dogs in them. A meagre 1% use them to look at nature. Acton Park is visited by 11% of Ealing Borough residents. After experiences in different parts of Ealing Borough and further afield, it has been found that getting local people involved in decision-making has the benefit of helping them take ownership of their spaces and improving satisfaction with the park. 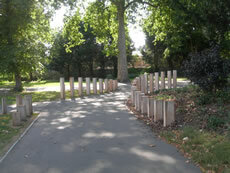 It can also often reduce anti-social behaviour through improved local awareness of the park’s value. Properly run Community groups are also eligible for funding from sources that are not accessible to the Council and close working can result in significant funds being raised for projects that are owned by the community and delivered jointly with the Council.